If you are an investment homeowner then you have put a lot of effort and time into your rental home to make it a safe and enjoyable place for the tenants to live. 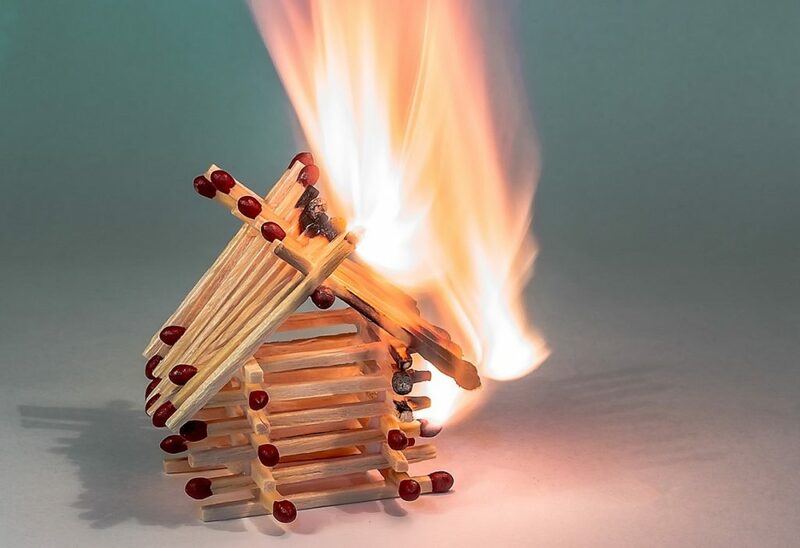 However, if you do not practice good fire prevention habits in your rental home, or instruct your tenants to do so, then the protection of both your property and your tenants might be in question. Practicing fire safety is simple for both tenants and homeowners to perform yearlong. Do not wait for a fire hazard to present itself, begin preparing your rental house now to become fire smart. Check out these tips from Real Property Management Metro Detroit to decrease fire hazards for your rental home. As an investment homeowner, as soon as you’ve prepared your rental house for tenants to move in and complied with fire security procedures such as keeping a working fire extinguisher within your home, it can be simple to forget it’s there. Among the most effective ways to ensure that your fire extinguisher would be ready if an emergency arose would be to perform an annual visual check. While easy, this check could be lifesaving. During the visual check the landlord or homeowner should be certain it’s situated in its designated place, is not damaged, nothing is blocking or obstructing access to it and it’s completely operational. Moreover, you must verify that the pressure gauge is within working limits and the pull pin is sealed and intact. The fire extinguisher may also have a label on it where you should be sure to record the date of visual review upon completion. Many tenants and homeowners alike assume that the fire department only provides their services during an emergency. However, your local fire department offers many different free services to ensure your property is protected from fire hazards. It is important that this comprehensive fire review is done by a professional, and your tenants are present to answer questions and find out useful fire prevention tips. These home security checks are all free and worth every minute spent on them. A fire marshal would much rather give homeowners and tenants resources to stop fires than put them out. The fire marshal will assess things like evacuation plans, the frequency of fireplace and furnace cleanings, safe storage of flammable substances if your smoke alarm needs replacement, etc.. Make the most of this free annual service. Once you’ve prepared your rental house as best you can to avoid a fire, you also have to instruct your tenants in the proper way to make fire-safe choices in their daily lives. This would consist of giving them instructions to eliminate items which are surrounding or covering appliances like water heaters and furnaces. It’s ideal to mark a place around these appliances with some form of permanent marking that will help tenants remember to keep flammable items a safe distance around these appliances. You should also make sure all protective covers are in place and remove dust and lint from ducts to help prevent fires from occurring in your rental property.